Journal-News, a newspaper distributed in Rockland County, New York, March 16,1992. Visiting relatives and friends in hospitals and nursing homes is difficult for many people. It's tough for me because I know what it's like living in an institution. But I also know how important visits can be to patients. 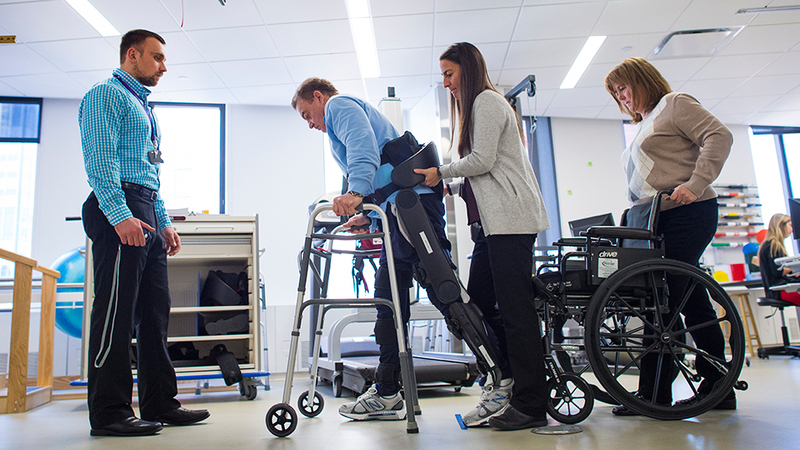 I spent almost eight months at New York University's Rusk Institute of Rehabilitation, and I've been in and out of hospitals over the last 10 years since my spinal cord injury. My grandmother is now in a nursing home. What strikes me every time I visit "Nana" are the reactions of the other patients. When my children, Danielle and Jimmy, walk into the facility, many of the elderly people perk up. There eyes seem to brighten at the sight of these young visitors. They approach the kids to touch them, talk with them or just say hello. Since the 1960s, the number of residents in nursing homes in the United States has more than doubled. There are about 23,000 long-term care facilities in the United States, housing more than 1.3 million people – – 85% of them over 65 years old. I think I know what some of the patient's are feeling. When I was a patient, I didn't really know if I would ever leave the facility. And, I thought people would forget about me. No matter what you're told as a patient, you still believe that you may die in a place that is foreign to you and with people you don't know. You're not at your "real" home, and you're always afraid. Your moods change frequently. Sometimes you want to be left alone to weep or just cope with your situation in your own way. Other times you want to have people around you, to share feelings and to find comfort in people who care about you. I found that the best medicine for people in hospitals or nursing homes is to have visitors regularly. First, visitors can pick up the patient's spirits, and second, it lets the staff know there are people who care about the patient and worry about the quality of care being given to a friend or loved one. The patients I knew at Rusk all looked forward to visits from their friends, relatives or spouses. Yes, some would complain about the visits, but it gave them something to talk about other than their ailments or TV soap operas. One patient, who had lost the ability to speak, could communicate very well with his wife. Although he could only grunt and groan, she alone new exactly what he needed and wanted. Try as they might, the nurses could never break the code. He was eventually transferred to a rehabilitation center in the South, where he could be closer to his wife and family. When a patient has visitors, the nursing staff benefits. In many ways, it makes their jobs easier. Family members can help with the patient's care and emotional well-being. Patients don't feel forgotten or worthless, and are not as likely to become depressed. In my case, when visitors were expected, the nursing staff would take extra care getting me ready to receive my guests. The staff didn't want me to look ill or unhappy. Unfortunately, patients who were expected to remain in the facility for long periods of time usually get the greatest percentage of visitors when first admitted. Then the number of visitors and the frequency of visits taper off. That's when the patient feels alone and forgotten and the patient's well-being starts to slide and the nursing care seems to decline. Because of the increasing numbers of people living beyond the age of 65 and changes in lifestyles, which separate the elderly from being cared for by their families, more and more people will find their way into nursing homes. A great many of those people never get well. But that doesn't mean they should be forgotten or hidden from the public. If you have a relative or a friend in an institution, take a trip and visit him or her this Sunday. The trip will do you both some good.